One year has passed since the day United and Continental officially tied the knot and what a year it has been. I predicted in a blog post late on March 2, 2012 that the transition would be bumpy and indeed it was–that first week of post-merger travel was a nightmare for many, including me. But now a year has gone by and the dust has settled. Have things changed for the better? I would be lying if I said I don’t constantly long for the days of pre-merger legacy United Airlines. It seems most legacy Continental flyers also miss their old carrier. Perhaps most indicative of the post-merger changes that has raised the ire of many elites is the new upgrade system, which is opaque and sadly very unfriendly to those accustomed to complimentary upgrades. Four seats in first class remaining with two in (R) class, indicating upgrade inventory. In the legacy United days, space in R class, then NF class, would have resulted in immediate upgrade clearance for the two at the top of the waitlist. Sadly, not anymore, where the system clears complimentary upgrades on the basis of some supposedly intelligent algorithm. In other words, not when the upgrade can be sold for a few hundred bucks to a non-elite. I’m sure I will be flying in coach tonight and I have a confession to make–I have not received one complimentary upgrade this year on a transcon flight. I fly from SFO-PHL at least twice a month on Sunday nights and EWR-LAX on Wednesdays or Thursdays. You would think that having flown over 30,000 miles already this year I would have received at least one complimentary upgrade as a 1K flyer. Nope, not even one. But all of this is just a long introduction to say that times have changed and we are likely never going back. That’s the story of this merger and the consolidation of the airline industry. So don’t take this post as a gripe post–of course I long for the past but longing for the past is frankly a waste of time. My schedule doesn’t allow me to fly through Denver and Chicago in order to increase my chances at getting a complimentary upgrade, but even on those shorter routes I have failed. 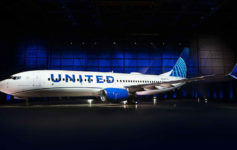 So going forward, as we enter the second year of United’s merger, we can only hope for more transparency and a more customer-friendly outlook. It saddens me that my expectations are so low, but in this era of consolidation, I believe that is about the best we can expect. In other words, I am about ready to write off complimentary upgrades, because I do not think American Airlines is going to be much better once their merger with US Airways is complete. Wow you haven’t cleared as a 1k, got tossed off of a plane and you are still flying UA. You are proving Smisek right. So sad. Sad commentary, indeed. While I think your continued loyalty to UA is misplaced, especially after the photo incident courtesy of that commando FA, I share your thoughts that the new USAA isn’t going to be much better. I have been loyal to AA for going on 7 years now, and despite the optimism from some corners, I fully expect we’re going to see the “bad” parts of US come over, including the annoying credit card hard sell on all flights, the ability for anyone to purchase Platinum status for $4,000, and the return of soda fees. Add that in to what I suspect will be a significant devaluation of AAdvantage, especially for lower tier elites, as we’ve recently seen in MP and SkyPesos, and the future looks bleak indeed. I’m based in DFW so UA doesn’t do anything for me, but I’m already preparing to switch allegiance to Southwest. Zero for 2013 is pretty startlingly bad. My experiences on the “new” United have been much better as a platinum/1K. It’s been eleven months since I flew coach, and that was coming out of Boston after the marathon on a flight that probably had dozens of high level elites. Could it be that much of the problem is that your flights are on A319/320’s with limited first class seating? And that you’re not burning miles to upgrade (like we used to have to do on the “legacy” United)? I’ve had some United frustrations, and looked at other programs, but don’t think there’s a better (or even equivalent) option out there. One example: I just bought a September ticket SFO to JFK for $400 and confirmed an upgrade with RUs. That’s a $3600 ticket for $400 (and I’m even booked in a first class seat for now, since United is booking the whole front of the plane as “business” while it phases in the new ps layout). Plus, Star Alliance benefits are strong, much better than OneWorld or SkyTeam. It’s hard to get an upgrade on United flying those routes from the New York area. People have plenty of funds around here to just pay for Business or First. LAX-NYC is a really popular business route and long enough where upgrading makes a difference. Now flying to Florida or Houston is a different story. I am 1K on United this year and my upgrade story hasn’t really changed since I was Silver/Gold on United. I get upgrades pretty much going anywhere (Houston, Florida, Caribbean) except LAX. I am flying to Chicago in a few months. We’ll see what happens with that! The thing that I miss about the old 500 mile upgrades is that you actually had to decide when to use them. That meant that passengers could figure out which of their trips they really wanted an upgrade for, and go for it with the e500s. There was a nice sorting effect where everybody could be happy once in a while, and almost never disappointed. Even though the total number of upgrades was almost certainly lower under the e500 system, the success rate was higher (for me, anyway). Accepting for a moment that perception matters just as much as reality, what the complimentary upgrades have done is made almost all of us hopeful that on any given flight, we have a shot – even a tiny one – of getting upgraded. Since we miss the cut so often, it feels like we’re “never” getting upgraded anymore, even if the pure number of upgrades is the same or even greater. The lower hit rate leads to negative perceptions of the airline. From the mere Silver’s perspective, the perception gets even worse. It’s just disheartening to see one’s name as 50th on an upgrade list for six seats. Comical, yes, and a reminder that 25,000 miles in the air is nothing these days. But those Silvers may one day become 1Ks and beyond, when their pocketbooks allow it, and the negative perception of the airline will stick. Which is all a long-winded way of saying that I miss e500s. @Chris: I guess I’m sad because my record–even on transcons–was near 100% last year, well above 90% and all complimentary upgrades. My RPUs were used only for family and friends. @Carl: I still rarely fly in coach, but I hate having to use RPUs every time I want an upgrades. It used to be no problem clearing IAD-LAX, SFO-PHL, DEN-PHL, DEN-IAD, all those routes. Now about the best I can clear is SFO-LAX and LAX-SAN. Quite sad. @UnitedEF: Well I don’t think Smisek gives a rip about me and the G/K/L/S/T fares I usually buy. I’m closing in on MMer status and I will reach that. Whether I will continue to maintain 1K after next year is another question–I am undecided and will be watching AA closely. But I’ve learned the grass is certainly not always greener on the other side. AA’s same-day confirmed change policy is horrible and I tend to change my flights a lot at the last minute. I love’s UA very flexible +/- 24 hour change policy. Delta offers a far superior domestic product, but a horrible loyalty program. UA still runs a great MP program with good availability and no fuel surcharges on any carriers. I do appreciate it and it makes up for some of the deficiencies. I think Delta’s medallion program is pretty nice actually. Redeeming Skymiles is a challenge. If you want first, you should buy first. Free upgrades are drying up everywhere. I’ve taken lots of pictures of my kids on Delta as well. Oh and pics of my kids sitting in the Spirit Big Front Seats as well. Somewhere at UAL Chicago HQ they are making a presentation about your loyalty. Everyday you reinforce there is no need for change at UAL MileagePlus. It’s working perfectly. I would say in light of UA begging for corporate travelers to come back they need every loyal flyer they can get their hands on even if they are buying the lower fare buckets. I am with AA now and it is amazing how far out the premium cabins are sold out. People actually pay for the premium seats! I never sat in Y when I was 1k with UA because of CR1’s and my upgrade rates with AA to JFK are a little high than 50%. But I do tend to get the exit row at a minimum when I fly that route and the free food and alcohol is much appreciated. The SDC policy is not as good as UA but it is tolerable. One time I stayed up until midnight because that was the earliest for me to get SDC. It paid off in that I got on the flight I wanted and when I woke up in the morning I was notified of my upgrade! No way that would ever happen now on UA. Things like that make me stick with AA. I have been rerouted multiple times due to weather or late aircraft and > 75% I have received upgrades. I am nervous with US taking over AA because it seems like it will be CO taking over UA all over again but I will wait and see. I have some time to see what happens. Worse comes to worse I can jump ship to DL. Surprisingly ST has the best route network for my travel needs. Boy. As an EXPLAT with AA, I’ve never sat in coach since accepting the status match. Never. I, like you, was a HUGE UA supporter, but I’ve seen the light. I’m pessimistic about the AA/US merger, but until then, I’m sticking with AA. 2013 miles YTD on UA: 0…’nuff said. Reading your other entries, I wonder why you are so subservient to UA. Why do you put up with it and not status match to AA? I don’t know what you’re afraid of, but remember YOUR the customer. Vote your unhappiness with your wallet. I’m surprised at you Matthew. I think it’s your age – at 26, I had a million miles with BA, but also spent a fortune with them (those were the days…), flying Concorde back and forth. I was at Concorde Lounge at LHR and saw on the screen “PAX FLYING A CLASS BUT WEARING JEANS” I was NOT happy. “You were not meant to see that,” I was told. And because of that I stopped flying, after writing a letter to the then Chairman of BA. This was post 9/11 by ten years, of course, but I didn’t like being singled out (those jeans I was wearing cost a small fortune and was appropriate). I don’t know if you’re afraid of saying how you really feel about the new UA because they will “mark” your account or whatever, but it’s been almost 20 years since the BA incident and I’m glad I opened my mouth and voted with my $$. Life is too short to kiss a$$. Reading your other entries, I wonder why you are so subservient to UA. Why do you put up with it and not status match to AA? I don’t know what you’re afraid of, but remember YOU’RE the customer. Vote your unhappiness with your wallet. I’m surprised with you, Matthew. I think it’s your age – at 26, by 2000, I had flown million miles with BA, spent a fortune with them and was very loyal to BA. I was in Concorde Lounge at LHR and saw on the screen “PAX FLYING A CLASS BUT WEARING JEANS” I was NOT happy. “You were not meant to see that,” I was told. And because of that I stopped flying them. I ended up taking my business to United where I quickly became a 1K and GS. Within 8 years, 2008, I became a MM and right before the merger, I was at 1.5 MM – then the changes, er, downgrades. I status matched with AA and haven’t looked back. I don’t know if you’re afraid of saying how you really feel about the new UA because they will “mark” your account or you won’t have your “contacts” in Chicago or whatever. For me, it’s been almost 13 years since the BA incident and a year since UA downgraded the MM benefits – I’m glad I can vote with my $$. Life is too short to kiss a$$. I wish the real Continental was still around. For me, the UA/CO merger has caused me to lose benefits from a robust frequent flyer program (and I am a MM). This has caused me to look elsewhere and I am doing so. I’m a 1K and have seen one upgrade in the past year of flying twice a week (and sometimes more). I used to at least get one every 5 or 6 flights – now nothing – and the one I got was because I flew out early on a holiday when the business travelers were home. Elite travelers mean nothing any more – TSA line is full of people with united credit cards so I go in the non-elite lines (shorter). The only perk left is the front section seat selection without paying extra for that additional 4 inches of leg room. We should all moo when we board the cattle car! @Dennis: Have you at least used your systemwides or regionals to confirm into first class? Flying 100K miles a year for the perks was fun while it lasted. I will take my $ elsewhere.